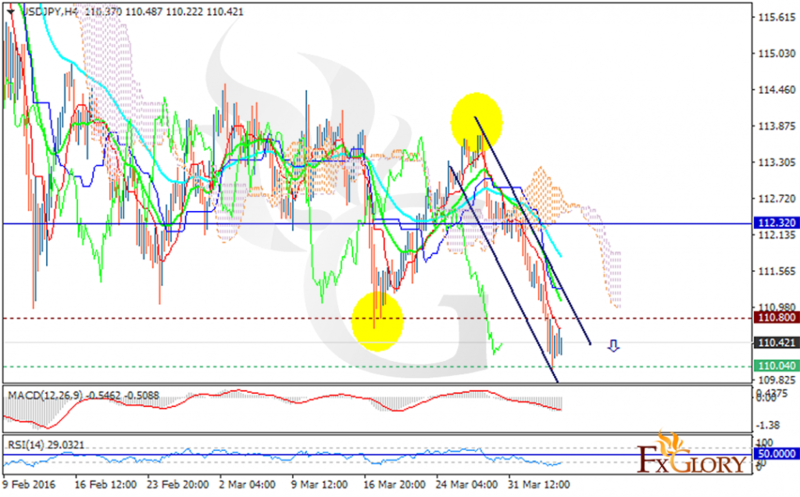 USDJPY is expected to move in lower ranges continuing its bearish trend. This pair has been affected by US stocks, oil price, the S&P 500, the Dow Jones Industrial Average and the Nasdaq Composite. USDJPY is finding support at 110.040 with resistance at 110.800 both below the weekly pivot point at 112.320. The MACD indicator is in negative territory signaling the price fall and the RSI is below the 50 level. The price is under the Ichimoku Cloud and the Chinkou Span. The Kijun-sen and Tenkan-sen are both showing a horizontal trend. Short positions are recommended with target at 109.00.